The state of Nevada is far more than the stark desert many first think of. Beyond the sand and boulders of the desert, Nevada has a great deal of lush land that is perfect for local growers. 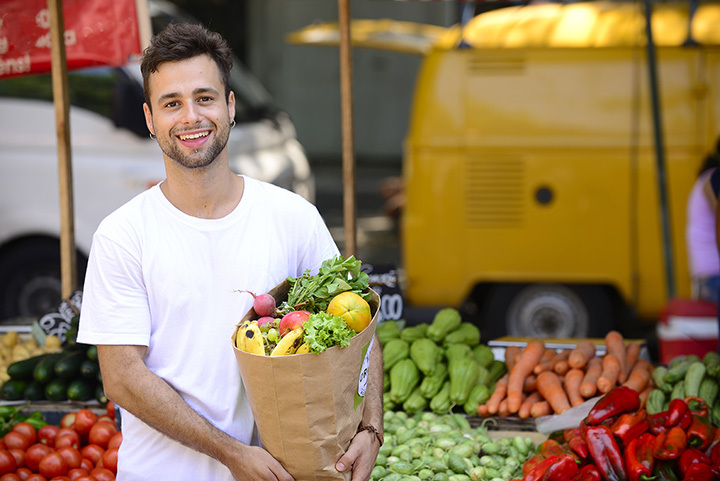 These growers often take their goods to local farmers markets. Explore our top nine picks for the best farmers markets in the state for some of the freshest produce and goods you will find anywhere. This local favorite plays host to both local farmers and small businesses alike every Thursday afternoon. While many markets close for the winter, the mild winter climate keeps this market open year round. Whether you are looking for local fruits, vegetables, crafts or even baked goods, this is the spot to support local businesses. Direct from the farmers themselves, honey does not get any fresher than this. While not the traditional farmers market you see in the city, this is a direct link to the local business for amazing honey products including desert honey, bee pollen, and propolis. This neighborhood market runs year round on the Wednesday afternoons and is located at the corner of Rampart and Vegas Drive. It is known for being a smaller market with a collection of local baked goods, farm fresh veggies and meats. A local favorite event, this farmers market takes over downtown Reno each Friday night of the late spring and well into the summer. It is an eclectic mix of local crafts, small batch baked goods, just picked veggies and even some surprises. This is the type of market many locals make a part of their average weekend plans. In Nevada, farm fresh does not stop with just fruits and vegetables, residents enjoy being able to buy fresh from the ranch meat as well. Bidding on livestock is a way many locals fill their freezers for the year with beef that can't get any fresher. This is also a place where many of the smaller farm to table businesses buy meat to serve to customers. The market comes to Floyd Lamb Park on the first and third Saturday of each month in the late morning and early afternoon. This is a neighborhood market for the early morning shoppers as it is open earlier than most of the other local markets. It is well known for a wide range of fresh fruits including berries in the summer, local crafts, baked goods, and occasionally even life entertainment for the whole family. Very close to both Lake Tahoe and Reno, this farmers market attracts vendors from both the Nevada and California so the mix of farm fresh produce and small batch baked goods is pretty amazing. Many of the family owned restaurants in the area source their farm to table items at the market. This small chain that focuses on the sourcing from local famers and making the market a place where families can shop every day. While it is a chain, its still small enough to work directly with local farmers to bring their products to market. View more Nevada Farmers Markets.